Advanced entry arrangements (subject to minimum entry requirements) are in place for a number of Cork College of Commerce courses including Advanced Office Administration QQI (level 6) to second year of TL805 Information Systems Management (level 8), Marketing & Event Management QQI (level 6) to second year of TL831 Marketing (level 8) and Childcare QQI (level 6) to second year of TL880 Early Childhood Care & Education (level 8). Other agreements include Advanced Certificate in Travel and Tourism to year two TL820 Travel and Tourism Management (level 8) and our Accounting Technicans to year two of TL731 Acounting (level 7). To check entry requirements refer to our progressions database https://corkcollegeofcommerce.ie/progressions/. 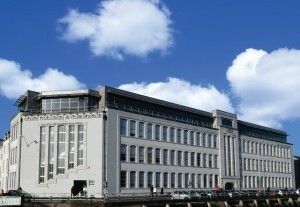 For further information on Institute of Technology Tralee courses visit http://www.ittralee.ie/en/. Closing date for Cork College of Commerce receipt of completed application forms is usually the end of April. The exact date will be posted here when available.